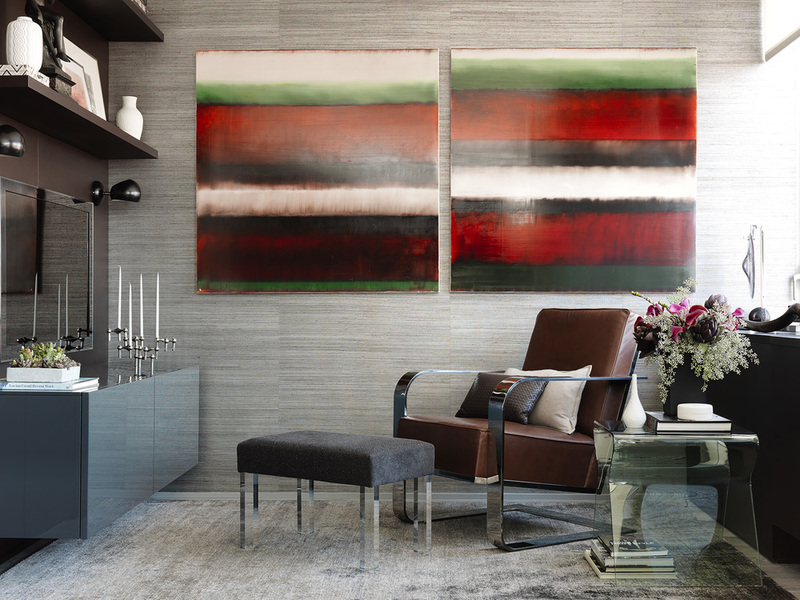 Schoeller + Darling fused the client’s love of modern art with a closely edited palette of finishes, fabrics, wall coverings and furnishings to create a modern, zen environment. You feel both comfort and calm once inside. This is achieved by setting a considered range of tonal grays against crisp white. 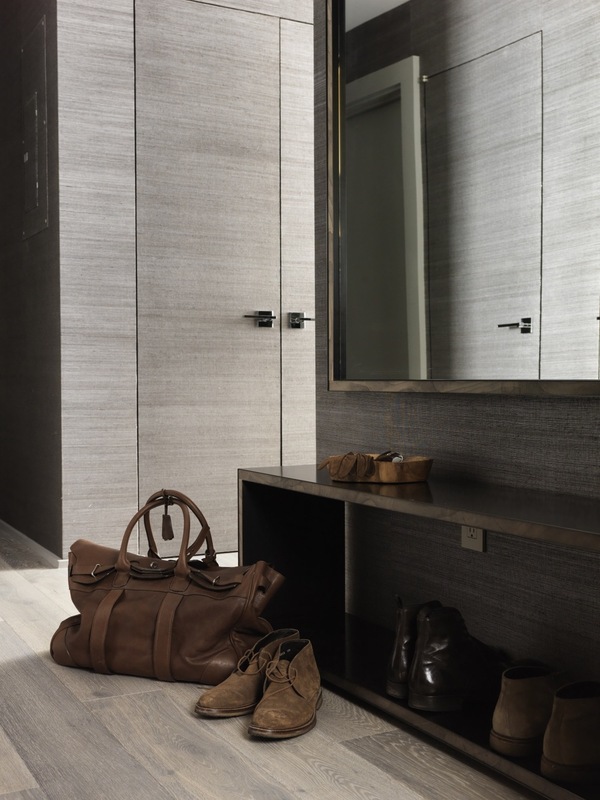 Interest is created by integrating a depth of luxury materials and texture into the space, such as slab marble walls, blackened steel, and custom finished grey cabinetry. Fabrics in cashmere, linen, and chenille accented by warm, rich leather tones provide both warmth, and a hint of menswear influence. The apartment, located in the Caledonia Building—in the heart of Chelsea and adjacent to the Highline—has an awe inspiring view of New York City.